everything you need to know about neulash + a video tutorial! My skincare regimen changes on the reg (I’m always trying new products! ), but there’s one beauty product I use every. single. night. That product is NeuLash. It is a lash-enhancing serum that helps lengthen and strengthen your eyelashes. I’ve used this miracle worker for the past two years and have been nothing but thrilled with the results! I’ve talked about NeuLash a whole bunch on my SnapChat (username: merrittbeck), and I know I’ve talked about it on here before in past beauty posts, but I’m always getting questions about how it works and how to apply it. I figured I’d go ahead and give you guys a quick video tutorial and a little more info! Unlike some of my friends who pay hundreds of dollars every few weeks to maintain their eyelash extensions, I only use one $150 tube of Neulash every 8 months-1 year and that’s all I have to do to get thick, long lashes! Find out more about NeuLash and learn how to apply the serum in my latest video on YouTube! Also, be sure to subscribe to my channel to get the videos right when they launch! Wow, that is an awesome product! 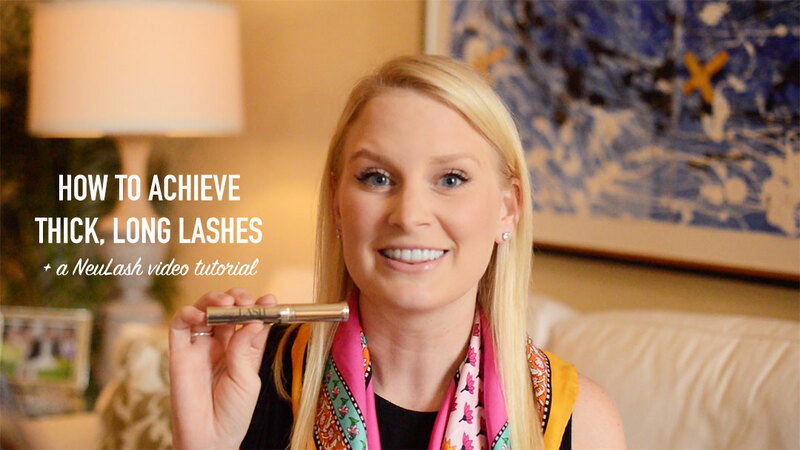 I really don’t want any part of extensions and I was kind of curious about other options for creating enviable lashes. Thanks for sharing, Merritt! I’m going to try out that mascara too. I’m so glad you wrote this post, Merritt! I”ve been meaning to buy the product every since you told me about it. Will do now! Totally need to try this CoverGirl clump mascara! I’ve been using Maybelline Colossal and it’s good, but it’s nice to switch things up once in awhile! I was wondering about how long the tube lasts, great to know it goes strong for months! Thanks for sharing!